Good morning & welcome to another Design team Thursday! I had given my girls a sketch to work with & made sure they incorported red also! Can I just say that I have the BEST DT ever! They did an AWESOME job like ususal!! For my card I used "My Little Firecracker" & for the ribbon I used "Race for a Cure"! Remember, when you purchase the "Race for a Cure" stamp set, you are partnering w/My Creative Time to help STAMP OUT breast cancer! For each set that is purchased, My Creative Time will donate $2 to Susan G. Komen for the cure"! Okay! now onto my FABULOUS design team! Here is Miss Leanne's creation! OMG!! Isn't her card just ADORABLE!!! She also used the "My Little Firework"
Next we have Miss Jen!!! Her card is just UNBELIEVABLY ADORABLE!!! ;) Jen used "My Favorite Sayings" stamp set! Next up, we have Miss Shar! I just LOVE how her card turned out! She used "Pain Pain Go Away" stamp set! Here we have Miss Glora! OMG! her card is SOOO SUPER SWEET! The stamp set she is showcasing today is "You're My Best Buddy"! Last, but certainly not lease, we have Miss Kate! All I have to say is WOW!! She used "Follow Your Dreams" stamp set for her card today! I LOVE LOVE this stamp set! I love them all!!! I love the Your my best buddy!!! This set was made for my hubby and kids! Thanks emma!! How can I POSSIBLY pick a favorite!?!?!?!? LOVE them all...I guess my favorite right now is Mom You Rock - been using it a LOT in preparing for Mother's Day! Emma your card is awesome!! I LOVE everyones cards!!! They are just fabulous....and great ideas too... just love it!!! Have a super day. Great Cards - I love the last card and the follow your dreams stamp set. TFS and a chance to win. Great cards! My fave stamp set is Paper Princess 'cause that's me! Emma, I LOVE your gorgeous card! I need to find that paper to go with my awesome stamp set! The DT rocked this sketch too! Wow, everyone's projects are beautiful!!! Love your stamps Emma. I think my favorite is You had me at Chocolate. Thanks for the chance to win. ohh Emma you gonna make me choose a favorite!? uhhh... I LOVE ALL your stamps but I would have to say Color me happy. ( just because I own that one :p) You come up with the most perfect sayings. Fabulous projects!!! I LOVE all your stamps, but one of my faves is You had me at Chocolate!! these are all great Emma - I love ALL of your stamps! Emma your card is gorgeous!! You are so talented!! I always love watching your video's!! To the Design Team OMG! ya'll rocked this challenge!! I'm heading that way to leave you some luvin now!! Have a great day Emma!! I really love the Firecracker set, however I don't own it so out of the ones I do own I LOVE Polka Dot Surprise. Wonderful cards by everyone! They are so talented. Thanks for sharing. I like many of your sets but the next set I have my eye on is "Follow Your Dreams". It's more than just a graduation set. It has a lot of inspirational and motivating sentiments. You did a great job with this one! Thank you. WOW - that is all I can say - these cards are all fantastic. Thanks for sharing. Next on my wish list of your stamp sets is the You're My Best Buddy. Thanks Emma!! Your design team did a great job. I can't pick one of your stamp sets just yet, cause I am ordering on Friday (payday). These are great cards. I am inspired to go make my own. I love all of your sets but my favorite stamp set of yours is the "Race for a cure" which I still need to order. I do have "Mom you Rock" and loved using it to make my mother's day cards this year! Thanks! HI Emma! I don't own any of your stamps..yet! But if I had to pick a favorite it would be the firecracker set. 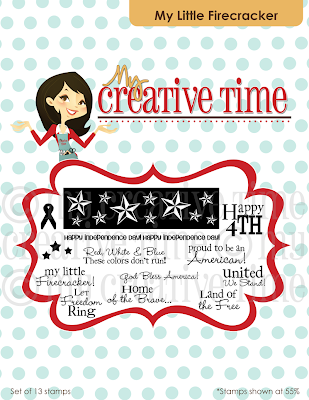 I love the 4th of July! I'm proud to be an American!! It's kinda hard to pick my fave stamps, because your stamps are just amazing. However, if I have to my pick -- My Fave Saying is my fave. I can't pick--I love them all. So...My Favorite Sayings--I think--oh, I can't decide. They are so awesome. Thanks for a chance to win another one. Emma - You know I LOVE all your stamp sets; however, I have a couple favorites. "You had me a Chocolate" and "My Favorite Sayings" LOVE LOVE LOVE them so much!!! Thank you for a chance to win this awesome stamp set! Great cards! They all worked so hard :) My favorite set is, "Favorite Sayings." TFS! love love love YOUR creation All the Way Ms. Emmita!!! Such cute cards! I've used Color Me Happy a bunch so I would say it's my fave! I love ALL of your stamp sets, but If I had to pick just one ~ it would be "My Favorite Sayings" If had all the money I wanted - I would buy EVERY stamp set you have! Love them all! Awesome group of cards, they are all wonderful. Love the sketch I may just use that for some inspiration. My Fav stamp set is " Mom You Rock" Having lots of fun with that one right now. Great cards, Everyone! Emma you are the sweetest! I think my favorite set would have to be "Turn That Frown Upside Down." 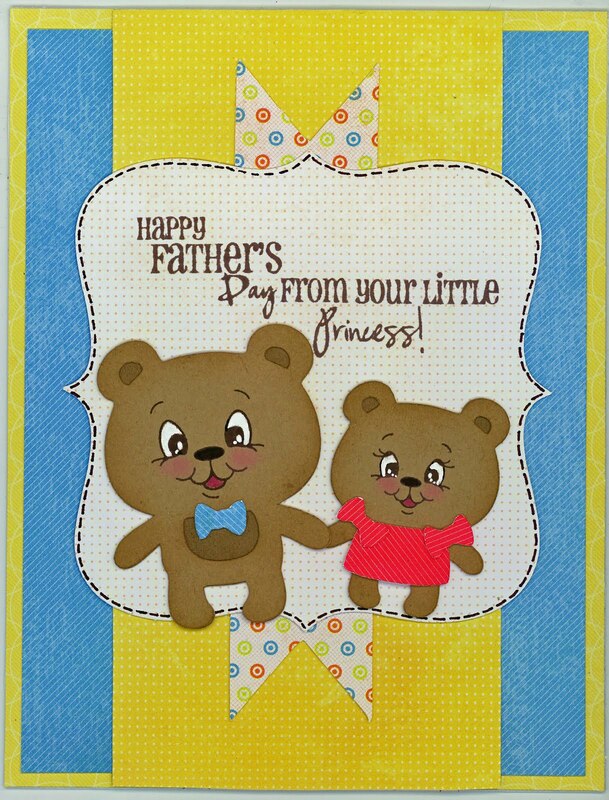 Love all the cards, at 54 I'm still my Dad's little princess so that one really popped out at me. Hard to pick a favorite set but after watching your video on how to use them I love the my journaling set. AWESOME cards. Nothing but PURE talent, amazing. Thank you so much for sharing. Love all your sets, but "Wow, So Many Candles" seems to fit me perfectly!! It's all good..
FABULOUS Cards! I LOVE all of your stamp sets, but if I had to pick one it would be "Mom You ROCK"! Thanks for the chance to win! Hello Emma, that is a HARD question. They are ALL my FAVORITE. I think you're the first person that puts out her stamps with the two different prints. I REALLY REALLY LOVE THAT;-). The last set I ordered was the "Fun Borders" so I will pick that set (keep in mind I love them all). As usual GREAT card! A great card it has given me an idea for a card to make for my grandson in the Navy. His birthday is next Wednesday. My favorite stamp set is Just a Little Note. Emma, a wonderful card and love the American Paper. My favorite is My Teacher Rocks! My husband is a teacher and I have been a teacher it is just perfect for Teachers. You had me at chocolate is great! Emma love all the creations you and your team came up with ! I am in love with your newest set Race for A Cure ! TFS ! Great projects :) Love all your stamps! I think your polka dot stamps are so awesome. I haven't bought any yet, but hope to soon. Thanks for your videos. Hi Emma: I love all of your stamps, and I am slowly collecting them!!! It's so hard to pick just one. I think my favorite is Mom You Rock. I like your polka dot stamps, too, and that is on my list to get. Thanks for the opportunity to win My Little Firecracker. My favorites are Turn That Frown Upside Down and Fun Borders. The more I see of My Little Firecracker, the more I think I have to have it! Awesome cards. My favorite stamp set it Wow So Many Candles. I fell in Love with your card,Emma! 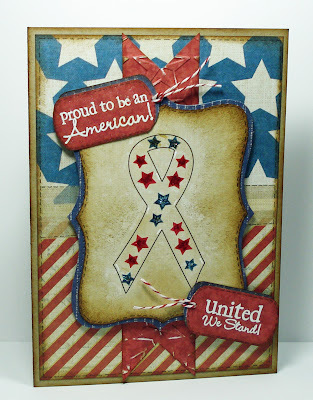 The Ribbon stamp looks perfect here with the stars! Awesome idea!! And the cards of your DT...stunning...as always!!! I love those cards! I have the "pain pain go away" stamp set and I love it! I was amazed at how fast it was shipped, I ordered it in the wee hours of the morning the Saturday after they were released and received them that Monday!! I was also happy to get the bonus stamp! I would love to receive the firecracker one. I love that you have a breast cancer awareness one (my best friend has breast cancer, so I guess that would be my next purchase). Thanks for the chance to win! All these cards are beautiful, I love them all!! My favorite stamp set is the You had me at Chocolate. Pre- Happy Birthday - I love your card - your sanding turned out so cute. I love your Polka Dot Surprise. Thanks for the give away. I love all the cards you alll made they are so cute! My favorite stamp set is my teacher rocks. But I really like them all. Emma, I think you did a fantastic job picking this DT! I know most of the ladies and not only are they so talented but they are all so super sweet. I really think a huge part of blogging is supporting eachother and I know that the ladies you have chosen do just that!!! :) There is no way that I can pick a fav set of yours. I love them all. As you know already, I love the stamps that are half script and half print. I just love the flare of those. Love all the cards Super cute!!! My favorite stamp set is Wow! so Many Candles!!! Love all the DT cards , they are great. One of my fav stamp sets is My Little FireCracker... To cute. Happy Birthday Emma! I just celebrated a birthday as well. I love all the cards, they a super fantastic. Wow, it's real hard for me to pick just one stamp set. I love them all, but if I had to pick just one it would be Mom You Rock. Really terrific card. I just love all of the ideas your design team came up with.I have loved using the sets I have and I think even though I have used the "Mom You Rock Set" alot!! My favorite is "I Believe in Leprechauns" There are sentiments I have used that aren't just for St. Patty's Day! Thanks Emma! these are outstanding cards!!! My favorites right now are "my little firecracker" and "my favorite sayings". You have WONDERFUL stamps!!! Wow! Emma you and your DT are amazing! You guys ALL Rock! My Fav stamp set is Wow! so many candles. Thanks Emma! Emma, your card is FAB!! I love it. My favorite set is MY LITTLE FIRECRACKER. Thanks for the chance to win it. so excited for you and the new stamps. I love all of your stamps Emma!! But actually, since I just got Mom you Rock in the mail, I'm loving that one! And I'm excited to get Race for a Cure! Happy Birthday and thanks for the giveaways!! My favorites of your stamps are "my journaling" (it's really difficult to find a great journaling set like yours) and "So grateful for you" (the best thank-you set ever). I love how versatile you make your stamps! Happy Birthday! My favorite is "Turn that frown upside down"! I love the "font" on all your stamps!! Love the cards. "Favorite Sayings" is my favorite stamp set. Love your stamps!! I wish I could get them all but it's not really in the budget right now! If I had to pick up set I would say Turn that frown upside down or Wow so many candles! Thanks for the chance to win! 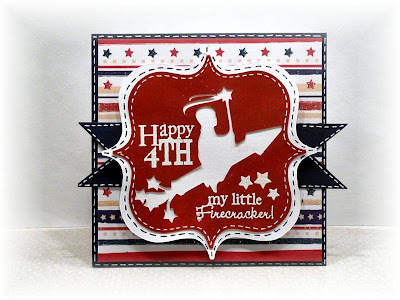 Once again you have came up with a fabulous set, Firecracker is Fantastic and who would have know what fab cards the team would make with it...keep those creative juices coming....your fans appreciate it!!! Great cards! I really like Pain Pain Go Away. It's nice to have some different verses for get well cards. So many cute cards!! Love this stamp set, my 3rd baby girl's birthday is July 3rd, so this stamp set is perfect!! Love ALL your stamps!! Thanks for a chance to win your stamps. I have one set and I love them. My favorite stamp set is "Wow so many candles" because I make a lot of birthday cards!! But honestly I love all the sets!! Everyone did a great job on their cards. Favorite set...Turn that Frown Upside Down BUT Pain Pain Go Away is looking like a must have also. Oh you and your DT's did an AMAZING job! I am so in LOVE with the colors ad details to your card! WOW! Again~ so talented! My favorite stamps set...ALL OF THEM! But if i had to pick... Mom You Rock! I LOVE that script! But to be honest... ! really LOVE them all! Again thank You for sharing all your creations and ideas with us! HAPPY EARLY BIRTHDAY! What a cute stamp set. I know for sure I would get use out of it. My husband is very patriotic. This would be great since fourth of July is coming up and Memorial Day! My favorite is "You had me at Chocolate" liking the breast cancer one is on my wish list..
Wow! Awesome cards!!! Love to see what you and your DT come up with...so great!!!! My favorite stamp set of yours is Just a Little Note to Say....its perfect for every card!!! Happy Birthday to you too!!! You're My Best Buddy!.My favorite hands down but they are all so great. 40?? you to be kidding me~! You look fantastic! In case your interested....the 40's were the best years of my life! Hope yours are the same!! Your cards are amazing and so are your design teams! All of your stamps are great... "You had me at chocolate" is a favorite. All of these cards are Amazing!! 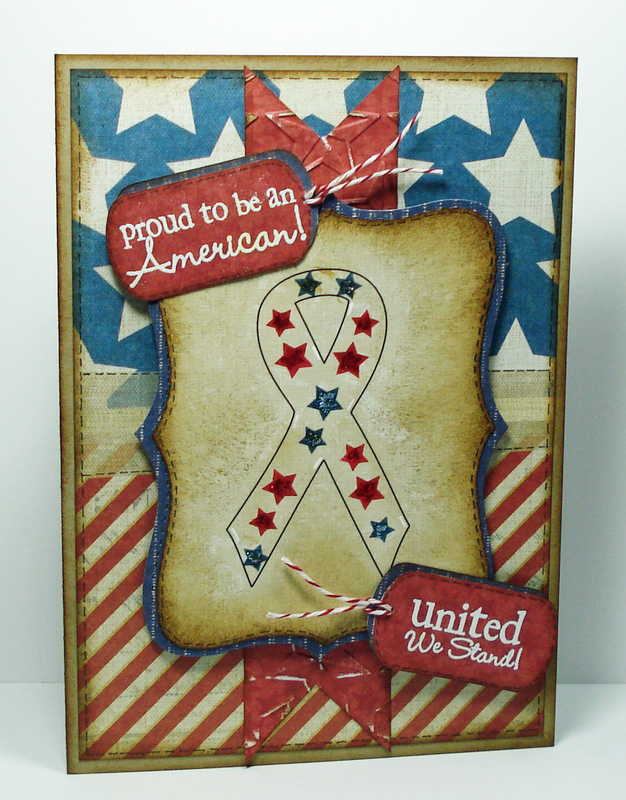 I especially have a soft side for the Patriotic cards, during this "Special" week!! My favorite stamp set of yours is "Race for a Cure"! It has deep meaning to me as I am a 7+ year BC Survivor!! Thanks for the chance to win!! I like You're My Best Buddy stamp set! What great cards you have on your site. Thanks for a chance to win blog candy. i really didnt have any "very" creative ideas for this stamp set for me to use, but boy yours are aaaaamazing!! You and your design team are the BEST ever!!! :) I love all the creations! My favorite stamp set of yours (do you know how hard it is to choose? I seriously WANT them ALL!) would have to be Paper Princess!!!!!!!!!!!!! Do I have to choose only one? I LOVE THEM ALLLLLLL! Thanks for the chance! Great cards-mom you rock would be one of my favorites! Emma you cannot possibly ask me to choose 1 stamp set. I love them all way to much!! Your never gonna believe this but my husband's birthday and my niece's are on the same day as yours!! Definetely a speical day! omg awesome DT samples! my favorite would have to be Color me happy, it is just so cute! Love all of the projects that you and your design team shared!!! My favorite stamp set is Just a Note to Say!!! I use it ALL the time! I love the size and style of the font! Thanks for sharing! excellent with 4th of july coming up!! This is certainly my favorite stamp set of yours! My husband is in the Air Force and I am always looking for patriotic supplies to complete his album! WOW! You ladies have outdone yourselves!! My favorite set of yours would have to be the set I own..Polka Dot Surprise! You have so many wonderful sets...but my favorite is Race for a Cure! Awesome job ladies!! My favorite at the moment is My Little Firecracker!! "Just A Note To Say..." looks like it would be one I would use a lot! I don't have any yet, but I look forward to changing that real soon! ;) Thanks so much for the chance to win! Love your projects! I love all of your stamps. At the moment, my favorite is Mom you rock.